When will be Books That Made Britain next episode air date? Is Books That Made Britain renewed or cancelled? Where to countdown Books That Made Britain air dates? Is Books That Made Britain worth watching? The landscapes and cities that have inspired some of Britain's most loved authors are celebrated in this new series of documentaries, produced by BBC English Regions in partnership with BBC Learning as part of the #LoveToRead season. In the first episode, journalist and BBC Radio 4's The World at One presenter Martha Kearney will be in East Anglia. She will be exploring why the isolated and flat East Anglian countryside has long been the chosen scene for great thriller writers, from Dorothy L Sayers to PD James and Nicci French. Martha, who has a home in Suffolk, explores how the ephemeral nature of Fen and coast has been a constant theme and explores the tensions between the sinister and the tourist images of rural East Anglia. London has a population of over eight million people, but many of the residents came from somewhere else and were at some point new to the city. London icon ‘Suggs' Graham McPherson is one of them. In this film he looks at the novels and novelists who have best depicted that early isolation and bewilderment that moving into the city brings, and the sense of belonging that follows. Who can forget Oliver Twist's first impressions as the Artful Dodger leads him through the teeming streets? Suggs meets Rose Tremain, author of The Long Road Home. All books in the film illustrate perfectly the arrival of a stranger to the city who quickly falls into becoming just another Londoner. And each author brilliantly describing, in their own way, the capital city and its outskirts. Poet and academic John Wedgwood Clarke discovers how writers have been inspired by the Yorkshire coast and how their work has changed the way we think about one of the most beautiful parts of England. He takes a trip through Whitby and Scarborough towards Hull, following in the footsteps of Bram Stoker, the Brontes, Winifred Holtby and Philip Larkin. On his journey, he meets novelist Val Wood, whose books explore the coast's fishing heritage, and he shows how swimming in the North Sea helps provide the inspiration for his own poetry. 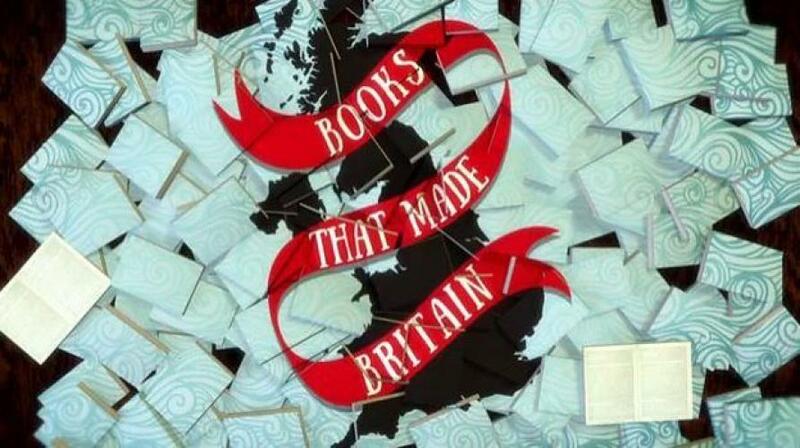 Books That Made Britain next episode air date provides TVMaze for you. EpisoDate.com is your TV show guide to Countdown Books That Made Britain Episode Air Dates and to stay in touch with Books That Made Britain next episode Air Date and your others favorite TV Shows. Add the shows you like to a "Watchlist" and let the site take it from there.